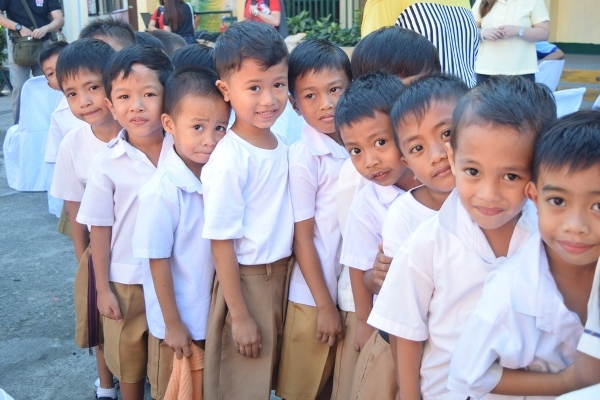 As part of ABS-CBN Lingkod Kapamilya Foundation’s (ALKFI) childcare program’s advocacy on helping children, Bantay Bata 163-Laguna, together with Harvard Business School Field 2, and Sharp Travel Service, visited Sto. 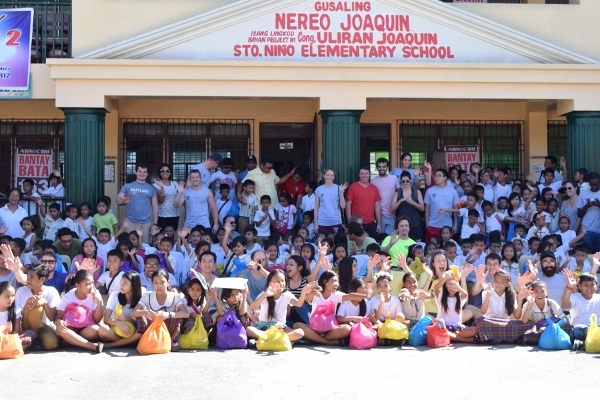 Nino Elementary School in San Pedro Laguna. 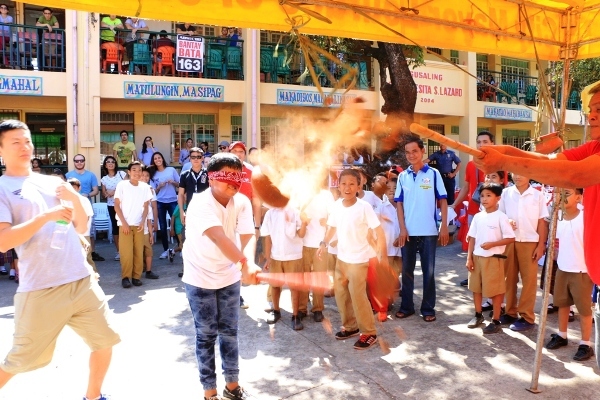 Students of the said school had so much fun playing different Filipino games with the delegates. 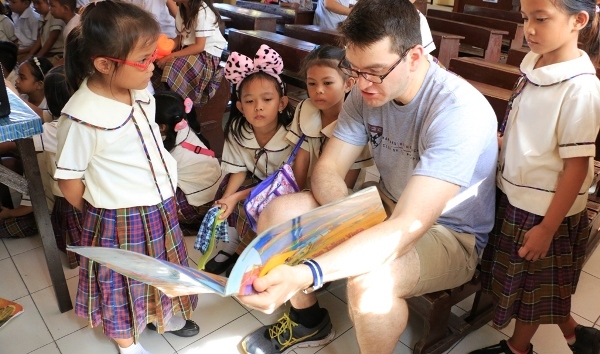 They also had a story-telling activity and the volunteers repainted three classrooms. 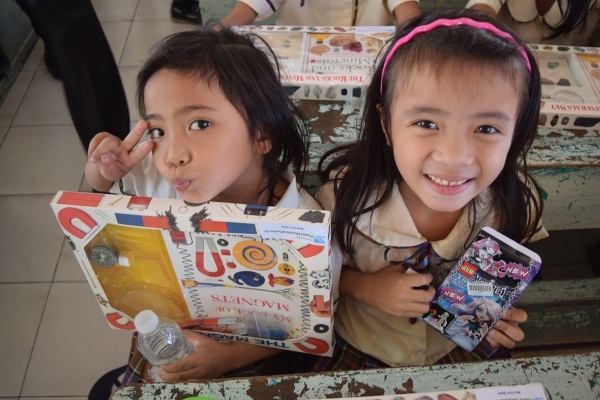 There were 200 kids who were able to bring home gift packs, books, and educational toys. Everything was in order and everybody was prepared. The event was filled with beautiful smiles under the sun, along with their willingness to exert an effort to help and their unconditional love for the community. The coming of the visitors to the school became an eye-opener to everyone that encouraged them more to pursue their goals in life. (L-R) SNES Principal Emelina Amil, BB 163 OIC Sheila Estabillo, ALKFI Managing Director Susan Afan, Joshua Levin of Harvard Business School, and Harvard Business School’s Faculty Director Andy Zelleke during the turn-over of computer set. Students from Sto. Nino Elementary School were grateful that they were visited by people who they never thought they will see. 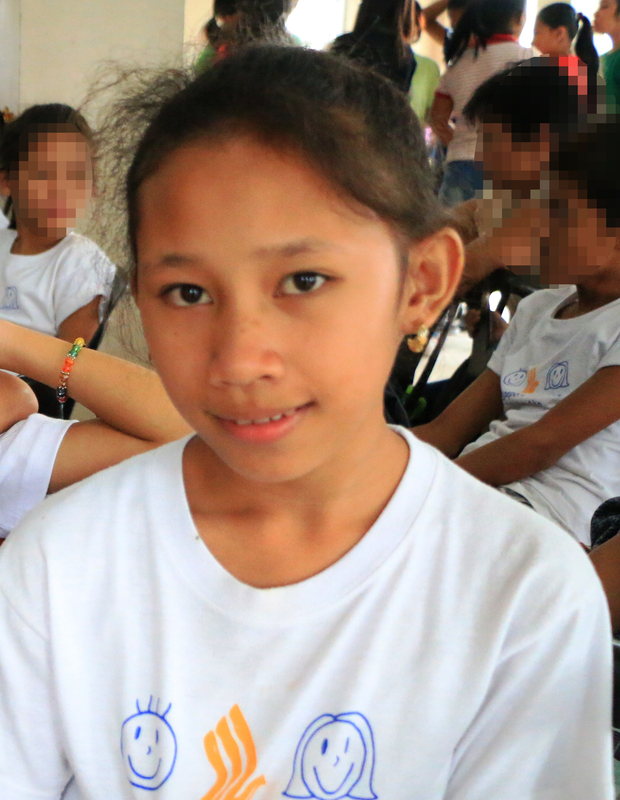 Like, Noela Mae Masa, grade five, 11 years old, youngest in the family. She said that she cannot sleep the night before the delegates came because of her excitement. She extends her gratitude to the visitors by saying, "Thank you dahil dumating sila at nagbigay ng regalo." They enjoyed the whole program like it will never happen again. 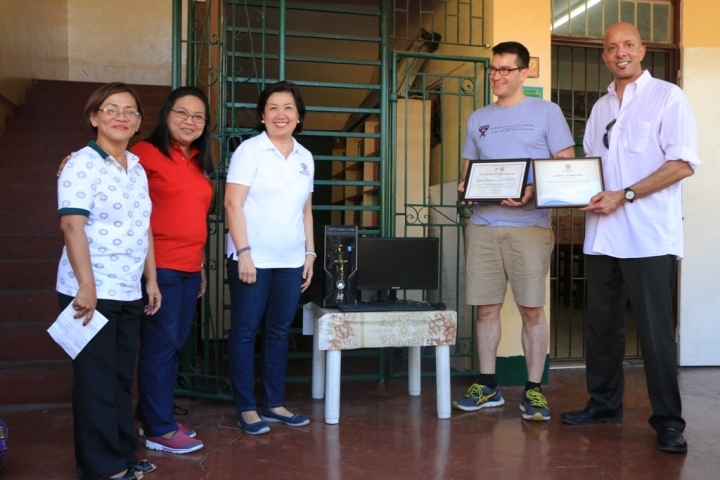 Aside from giving a fun-filled day to the students, the Harvard Business School Field 2 also turned-over a computer set to the school. Andy Zelleke, Harvard Business School’s Faculty Director said, “We want our students to enhance their global intelligence, their capacity to operate effectively all around the world especially in an unfamiliar country. This is a chance for the students to work on enhancing their creativity and innovativeness. But I think if I had to pick one over arching pre-dominant reason we do this is to expose our students to the fascinating places and people around the world and hope that some of them would choose to work professionally and to do business and help create values in all of the society.” He also reassured Bantay Bata 163 that they will definitely come back to the Philippines to support and help Filipino children. The Sharp Travel Service is one of the leading and longest existing Corporate in the Philippines providing global travel services and worldwide premium holidays for over 60 years. 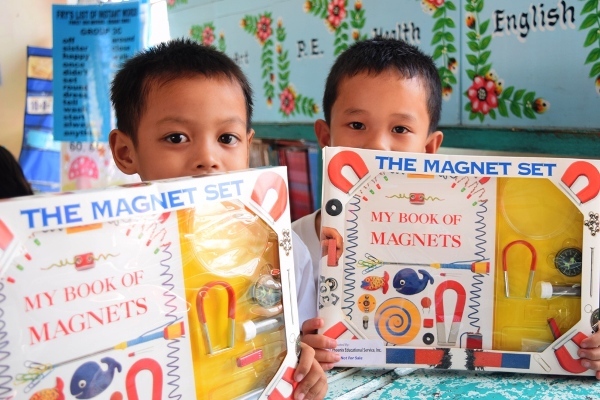 They recently launched their new advocacy called Sharp Travel with a Cause which is the reason behind the outreach program that took place in Laguna. In line with their advocacy is to bring their clients here in the Philippines to conduct immersions in different communities. ALKFI Managing Director Susan Afan is also grateful for the new partnership that occurred. “I’m so happy to say na napili tayo among so many foundations.” (I am so happy to say that they chose us among so many foundations). She also believes that every immersion comes from small beginnings and follows a great thing that makes them leave a piece of themselves.